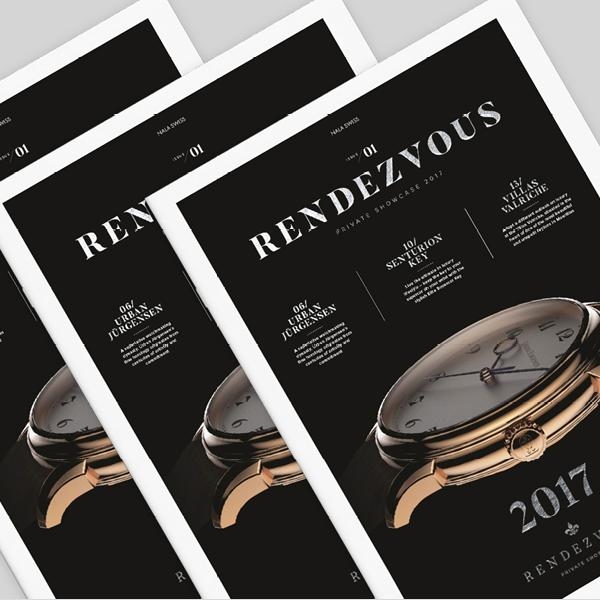 Rendezvous is an exclusive pop-up event hosted in various international cities across Africa and abroad, showcasing the world’s most unique and refined luxury brands. 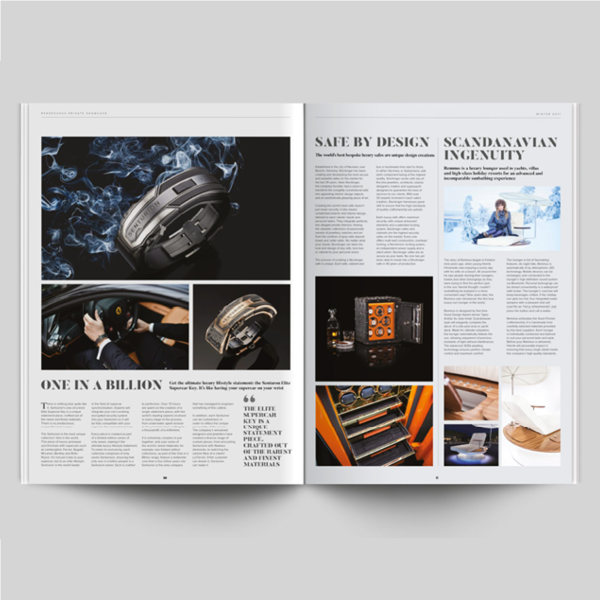 It is also so the name of the bespoke publication that Pure Creative created for luxury company Nala Swiss. 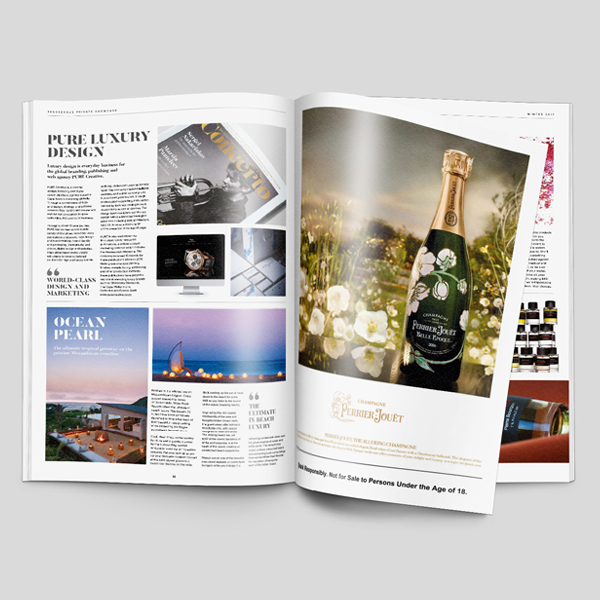 The publication was made for the Rendezvous Johannesburg 2017 event, and was handed out as a complement to the guests. It presented the story of various brands that fall under this exclusive company’s umbrella. 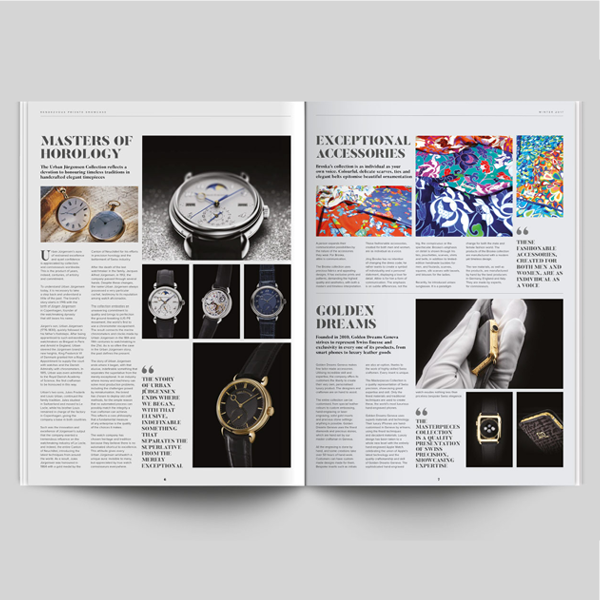 Showcasing one of watchmakers Urban Jürgensen’s masterpieces on its cover, the publication was finished off with extravagant silver foiling.